The National League Championship Series will go to a seventh and deciding game on Saturday after the Brewers defeated the Los Angeles Dodgers 7-2 at Miller Park in Milwaukee. The Game 6 victory evens up the series 3-3 and forces a Game 7 for a trip to the World Series. The Dodgers, 1.86 to win Game 7, struck first in the top of the first inning, but the Brewers countered in the bottom half of the frame with all the runs that Wade Miley would need. 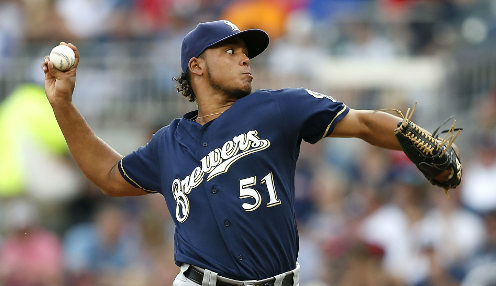 Milwaukee received a strong start from Miley, as the 31-year-old left-handed hurler from Hammond, Louisiana lasted 4 1-3 innings while allowing two earned runs on five hits, conceding two walks and striking out a game-high four batters for the contest. A major key for the Brewers, 1213.00 to win the World Series, going forward was the non-use of ace reliever Josh Hader on Friday and he will be ready for multiple innings of work on Saturday when needed. Hyun-Jin Ryu struggled for the first time this post-season, as the 31-year-old left-handed thrower from Incheon, South Korea managed three innings while surrendering five earned runs on seven hits, allowing two walks and fanning a team-high three batters for the game. Rookie Walker Buehler will have the biggest start of his career, as the youngster will square off against veteran hurler Jhoulys Chacin. The Dodgers will also have the use of key relievers Pedro Baez and Kenley Jansen for the do-or-die Game 7 on Saturday.